We want to open your eyes to the real success of universities, employers and students working together. We have interviewed over 40 employers, big and small, to find out what they think about working with universities. What they tell us is that they really value the experience. They like partnerships with universities that deliver results and they especially value partnerships that result in graduates who are ready to hit the ground running. For Alliance universities, partnership is at the heart of their approach. These universities have been in the business of working with employers for over 100 years. Many were set up in partnership with employers around the time of the industrial revolution to respond to the needs of a changing economy. They continue to operate this way now, working closely with employers to deliver a relevant, real world learning experience for students (which is why we deliver half of all sandwich courses in the UK). 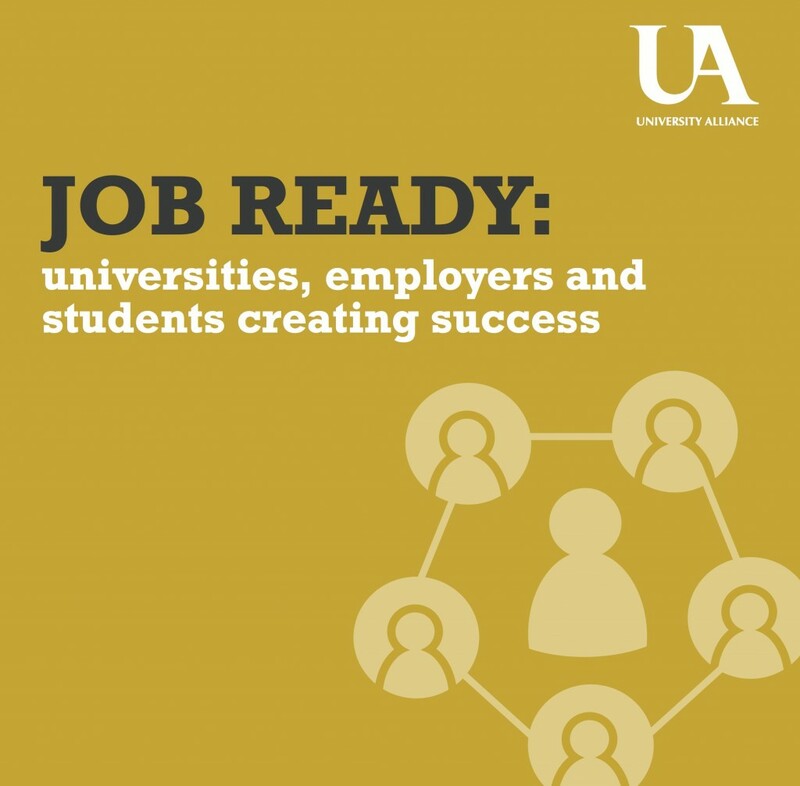 Employers are engaging across the whole of the university – from the careers department to individual faculties and with specific academics who share their business interests and can help them to identify sector-specific talent and opportunities. Employers are getting involved in a range of activities, from course design and careers presentations to taking interns or placement students. All of this runs counter to what a lot of people say about a university degree – that its value has fallen in recent years. Stories of this nature have increased as the media have focused on apparent high levels of graduate unemployment or underemployment in the wake of the recent recession. The experience of the employers we spoke to demonstrates that this narrative does not tell the full story. It projects the dangerous message that it is not worth undertaking higher study, despite the fact that obtaining a higher education degree is one of the best guarantees of stable employment and economic security over one’s lifetime. Most of the employment growth in the UK is in graduate jobs, those involving analytical, problem solving and complex communications. Through building close relationships, such as those described in the pages that follow, universities and employers can maximise talent, plug skills gaps and create progression routes for people from a wide range of different backgrounds. For the employers involved it is not merely altruistic but is about the bottom line. Ultimately it is helping them to recruit the best people they can, to support their future business success.